Hi there! All you readers, the ones who spends maximum time reading while travelling, while munching, while enjoying rains near the window, on the cube in a book store and so on. There are more combinations for way of reading then there are stars in our galaxy! This is my personal & an unconventional review for the e-reader ALL NEW KINDLE 2016 (8TH GENERATION KINDLE). I’ve been using this device for around a year now and I must say I’m a completely satisfied reader using an e-reader. Like many out there I too was reluctant to get an e-reader on the first place! 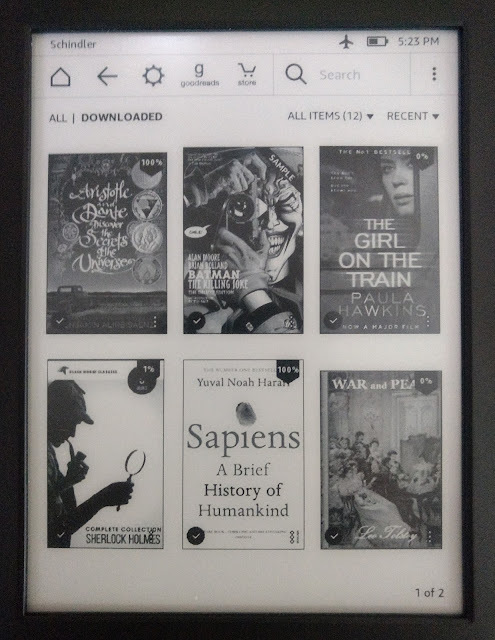 So what actually made me get an e-reader for myself? I like to buy books rather than renting them. As A. P. J. Abdul Kalam said it “A home library is the greatest wealth”. I want to create one for myself. e-books cost is way cheaper than paperback books. The e-ink technology gives a paper like display and hence, it’s as close as one can get with an electronic device. It’s less stressful for eyes compared to the screens of other electronic devices. 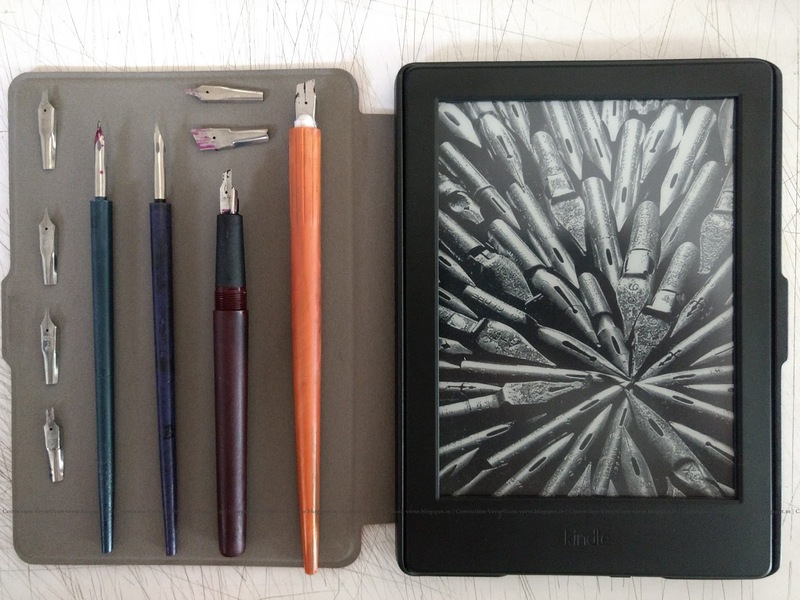 The design of the e-reader is slim unlike books and one device can hold around thousands of books + cloud storage. I did a hell lot of research and hunted friends for reviews who had an e-reader. 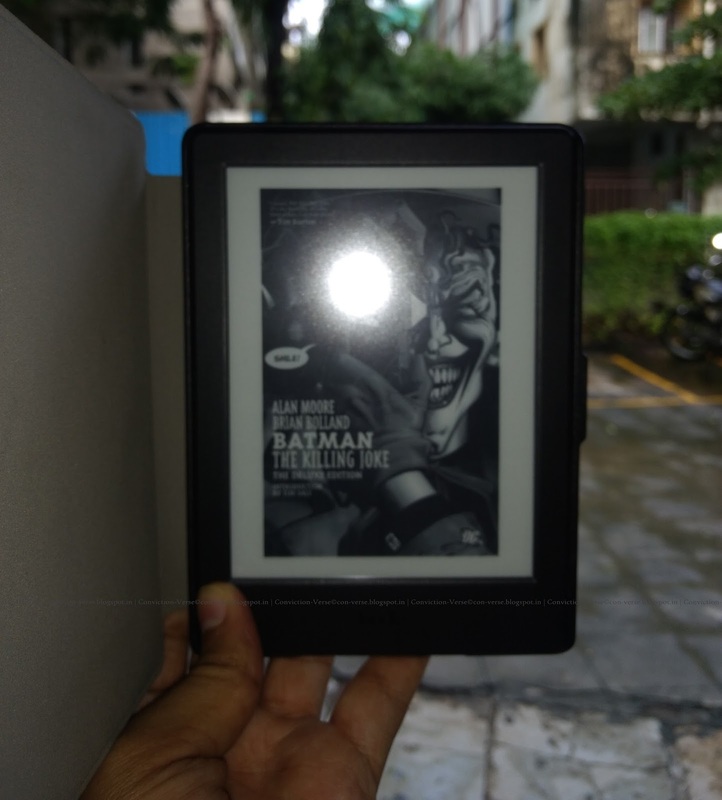 And that’s how I finally got myself a Kindle e-reader! It’s a basic version of all the available Kindle e-reader variations. Kindle has total 10 different fonts and 8 font size variations for reading a book. 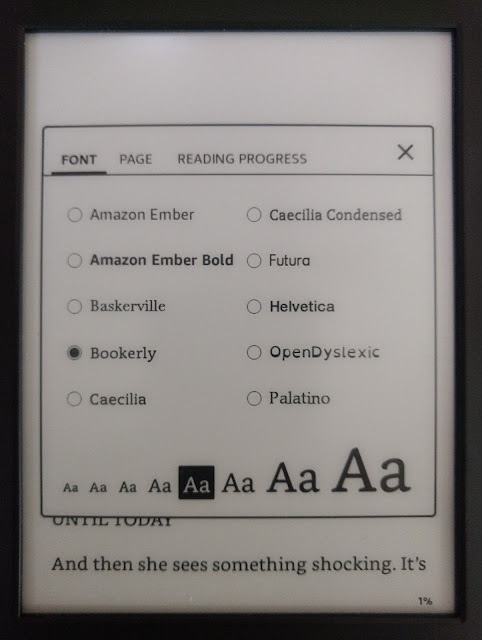 My personal favourite font is Bookerly. The 8 font size variations is really handy and has less stress on eyes. It’s especially helpful for the ones who have spectacles and/or for aged people. Spacing between the lines, margins, orientation and alignment all at your fingertips to adjust. These customizations you’ll never get in a paperback book. There are 5 options to get the status of your reading progress. 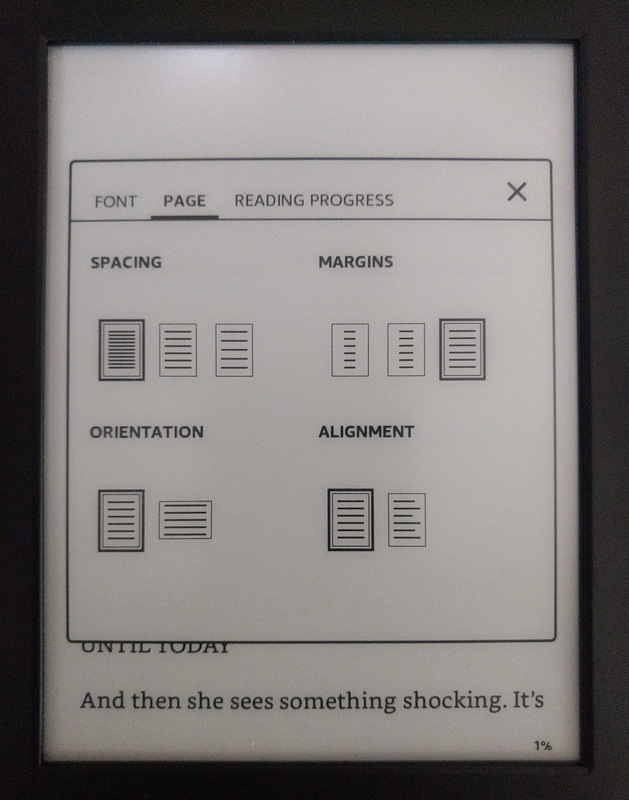 - Location in book: It’s a digital representation of pages in Kindle devices representing pages which are resizable by changing font size. - Page in book: It’s in sync with the actual paperback book. 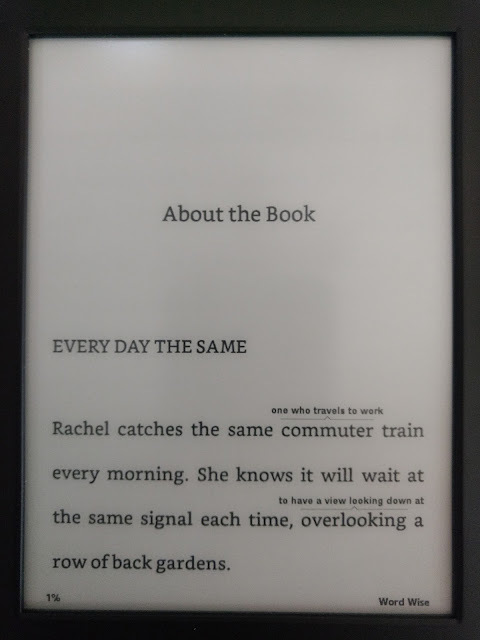 - Time left in chapter: As per your reading pace kindle calculates how much time it will take you to complete a chapter. Really useful for me when I want to finish a chapter before reaching office. 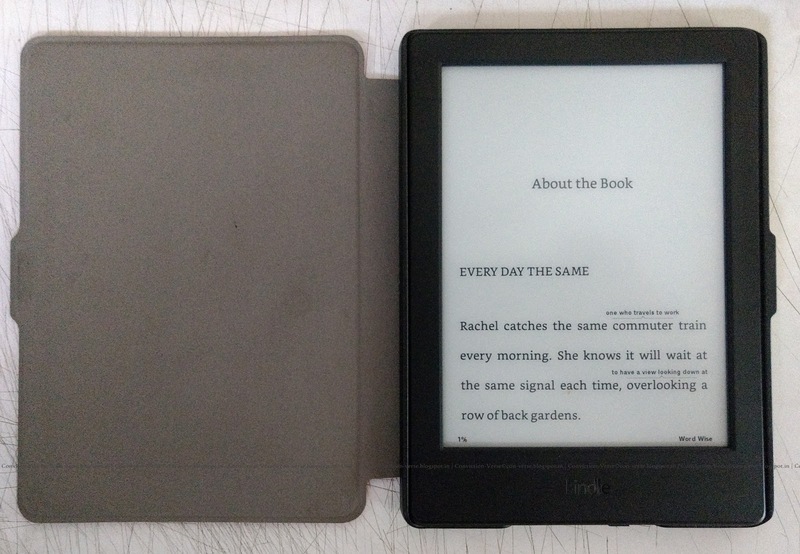 - Time left in book: As per your reading pace kindle calculates how much time it will take you to complete the book. Damn useful when the book is coming to a conclusion! - None: When you just don’t care where you are in the book. I really craved for this feature since childhood. It was inconvenient for me to sit with a dictionary while reading a book. 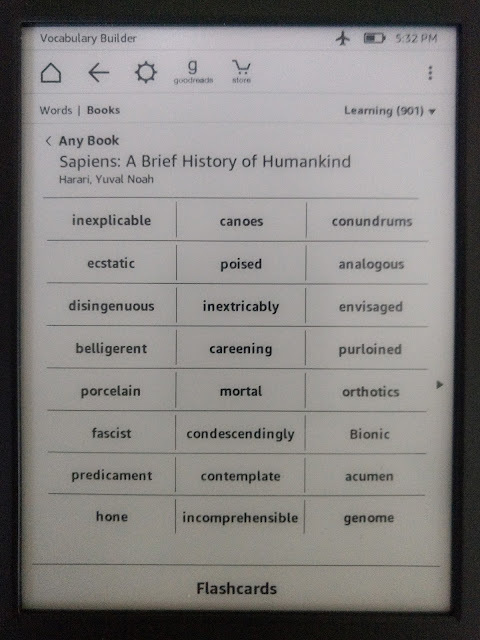 In Kindle all you have to do is press and hold a word to know its meaning. There are 2 dictionaries: Oxford Dictionary of English and The New Oxford American Dictionary. If by chance the word isn’t in dictionary you can swipe left on the pop-up window to search in Wikipedia. If you swipe further left you’ll also find a translation pop-up. You can translate the word into Chinese Simplified, Chinese Traditional, Danish, Dutch, English, Finnish, French, German, Hindi, Italian, Japanese, Korean, Norwegian, Portuguese, Russian and Spanish. 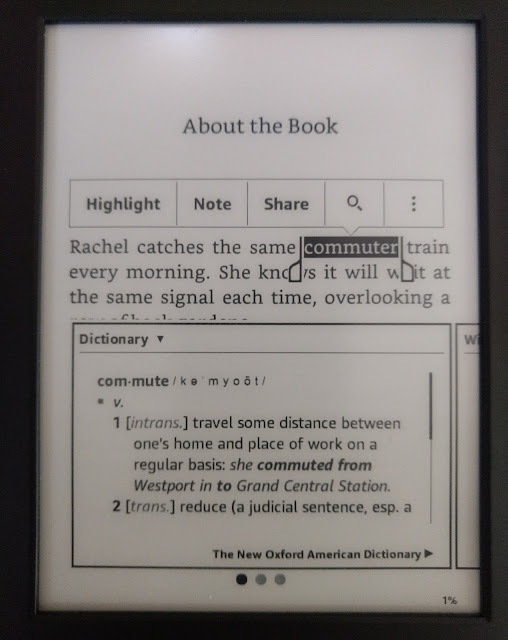 For both Wikipedia and Translation features your kindle device’s Airplane Mode should be OFF and connected to Wi-Fi. For those who are lazy enough to press and hold a word to know the meaning Kindle saves your energy by Word Wise feature. With this feature it shows the hints or short meaning of the unfamiliar words. Note: This feature is good but it increases the spacing between the lines even when there isn’t a hint shown for a word. The smart thing Kindle does is, it stores all the words for which you have searched the meaning. All those words! 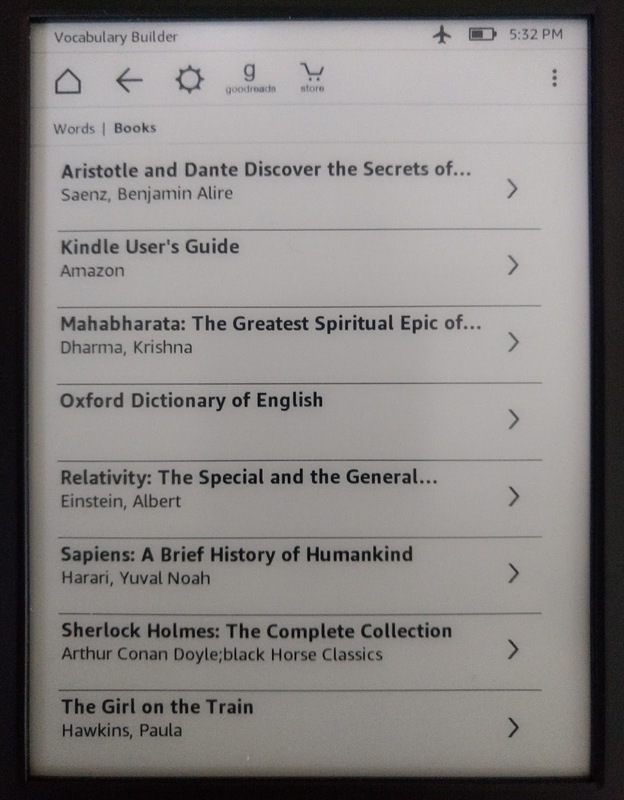 An even smarter thing which Kindle does is it classifies it book wise as well. You’ll know how many words you searched in a book and just in case you want to find the word from a specific book you searched earlier, to use it in your vocab, voila! At the bottom in the above screenshots there’s one more useful feature Flashcards. This aids in increasing your vocab. It shows you a pop-up with a word and its usage in a sentence. You have to recollect its meaning. If you recollected it correctly you can mark it as word mastered. We all find soul altering and mesmerizing quotes/lines in books. We do highlight/underline/note them separately. 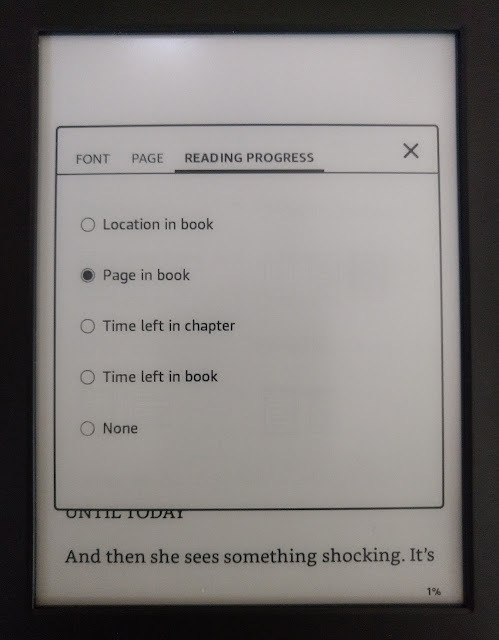 Well Kindle gives you an even better way. Just like the gesture you do to know the meaning of a word. Press, hold and drag on a quote or sentence in a book. It will get highlighted and Kindle gives you a textbox to add your own notes. I am in love with this feature because it not only allows me to highlight the particular quote/line but also gives me an opportunity to note what I actually felt while reading it. It’s like capturing that moment to relive it later. 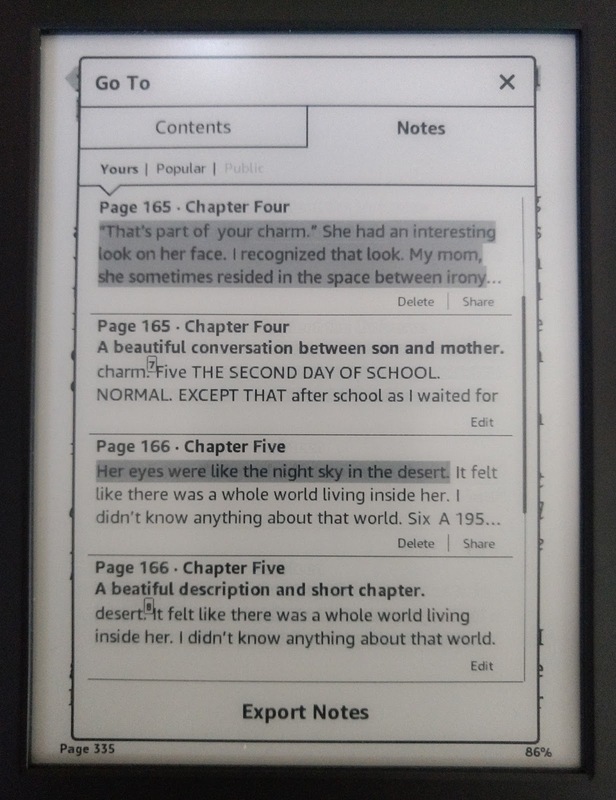 Kindle stores not only your notes but gives access to popular notes in the books highlighted by other fellow readers. Of course there is bifurcation between to differentiate those notes from your own! I know I should have come to the home page screen first but hey I warned you this is an unconventional review! Kindle’s home page showcases your library with the books you are reading or have read with its reading progress indicated in percentage. 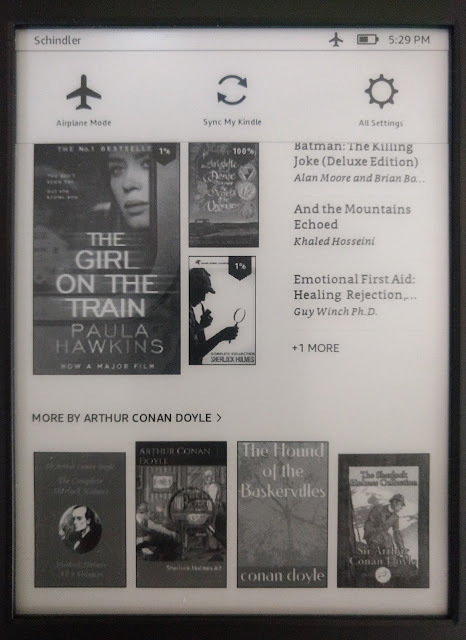 It also tells you the books which are in your “want to read” list under My Reading List section. 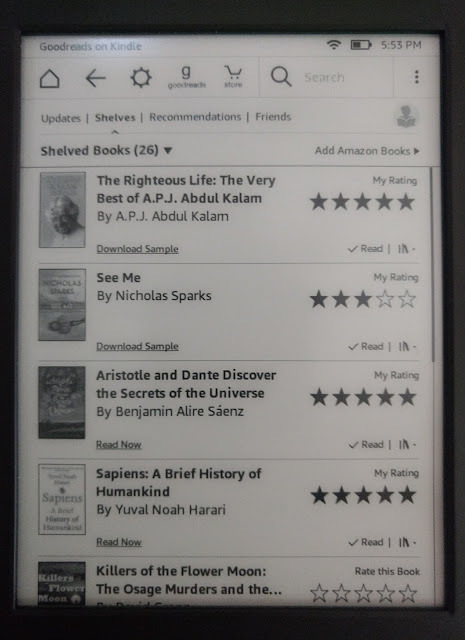 At the bottom it gives you recommendations based on the types of books you have read. Main Menu basically gives you access to everything you can do within the Kindle. All the books you read are stored in library. It is divided in 2 sections. All: All the books including those which are stored in cloud. Downloaded: All the books which are currently stored in the device. This is a mini setting having 3 options. Airplane Mode: To connect/disconnect preconfigured Wi-Fi. 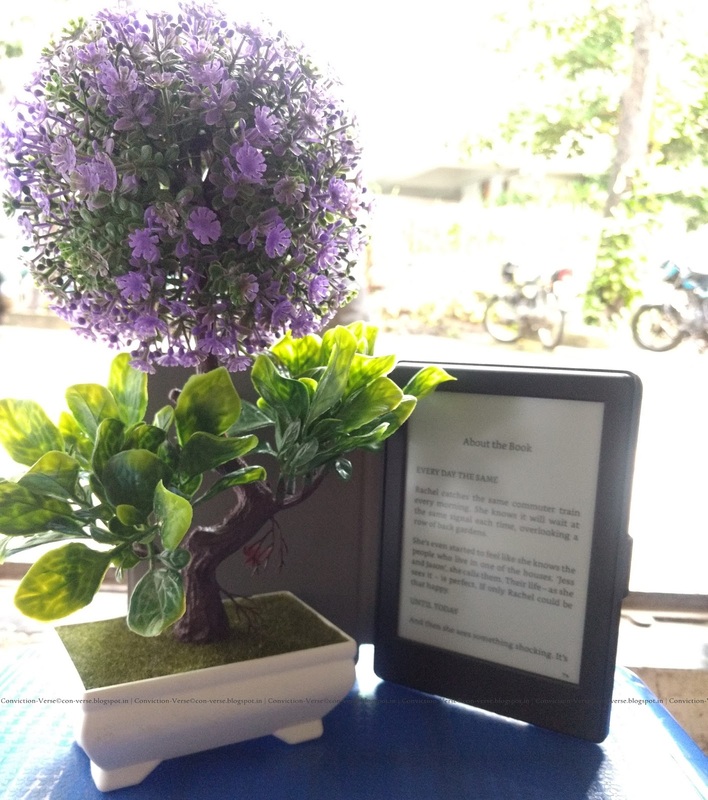 Sync My Kindle: To sync your device. It normally downloads your purchased and sample books. It also syncs the pages of the books across devices in case you are reading the same book in two different devices. All Settings: Gets you to the main setting. If you are an avid reader I guess you too have an account on Goodreads. In Kindle not only you can link your Goodreads account but also check updates, rate books, update reading progress, manage your Goodreads shelves, see recommendations, checkout your friends profile and more. 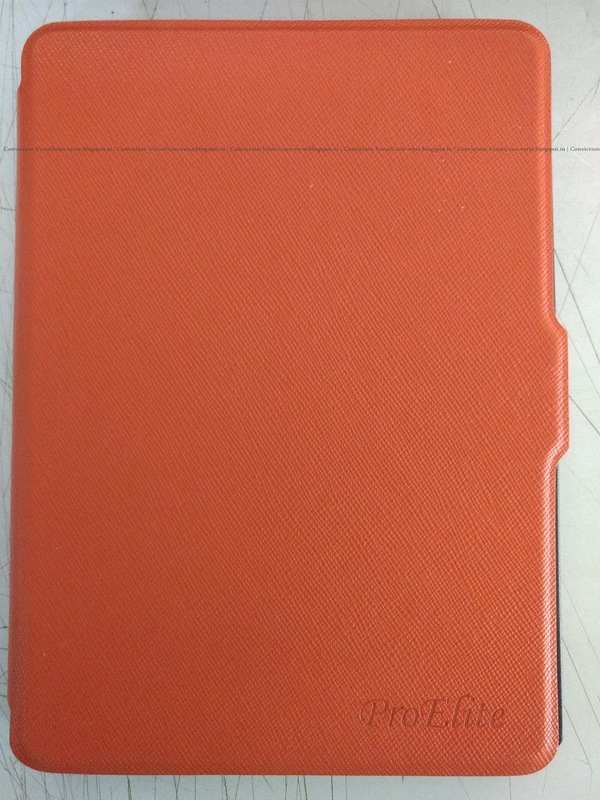 Personally I wanted to have a cover for my Kindle to protect it from dust and accidental damage. I brought a ProElite Ultra Slim Flip Case Cover. 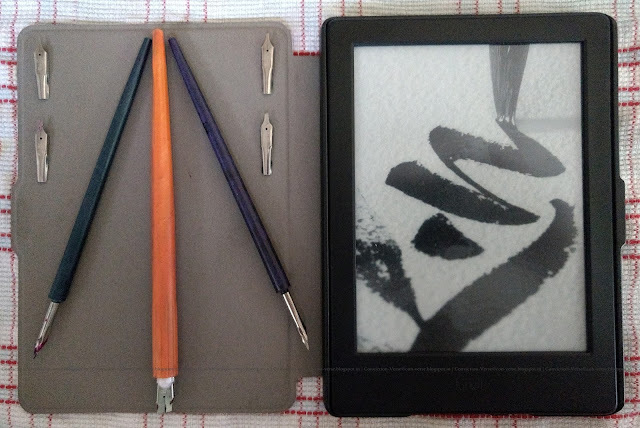 It’s simple and sturdy and keeps my Kindle dust free. It has a magnetic lock so when I close the cover it goes to screensaver mode. 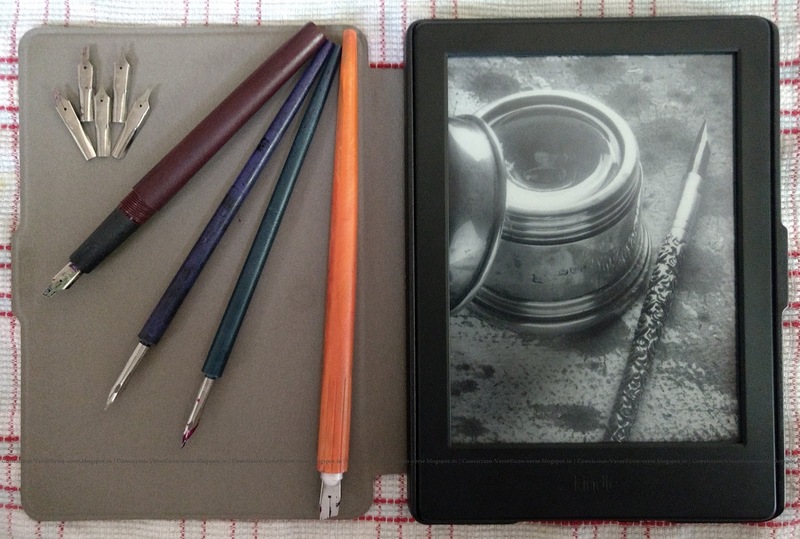 Note: While buying please check if the cover is specifically for your variant of Kindle device. 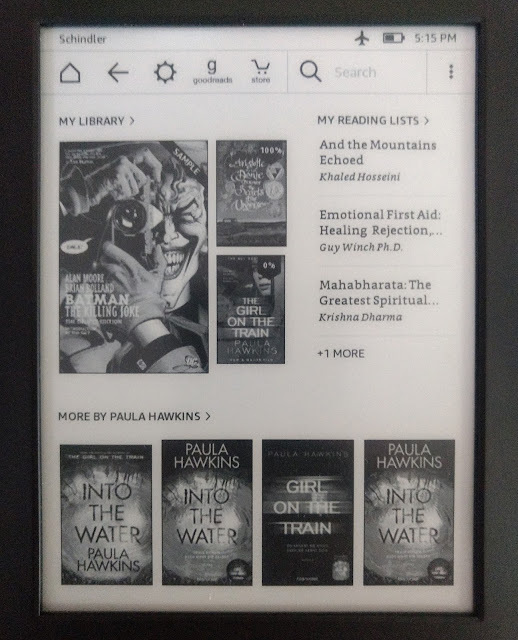 Kindle is a really good travelling companion and lasts for say four weeks with a reading span of 45 minutes a day as per my personal observation. I keep the Airplane Mode ON to conserve the battery. 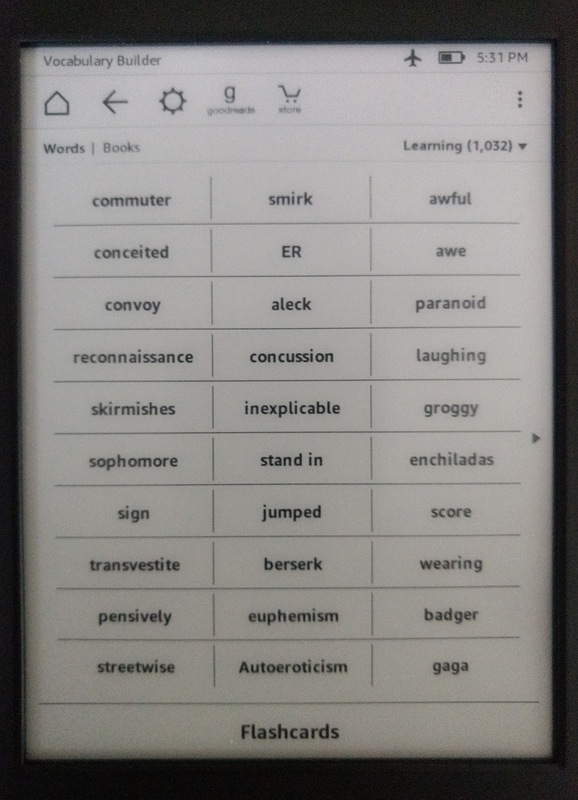 Kindle increases my pool of vocab and gives me an enhanced and elegant reading experience worthy for the money invested. Now I’ll be creating my home library in 2 possible ways! One through Kindle as e-books and another buy purchasing the paperback copy of those books which took me on an unforgettable journey. Things we do for the love of reading! I know I haven’t jotted down all the features of the Kindle device. But we readers have curiosity to know more! So I leave it up to you, fellow readers to explore your own Kindle device. I hope I’ve given you enough information to take a decision to buy an e-reader of your own. 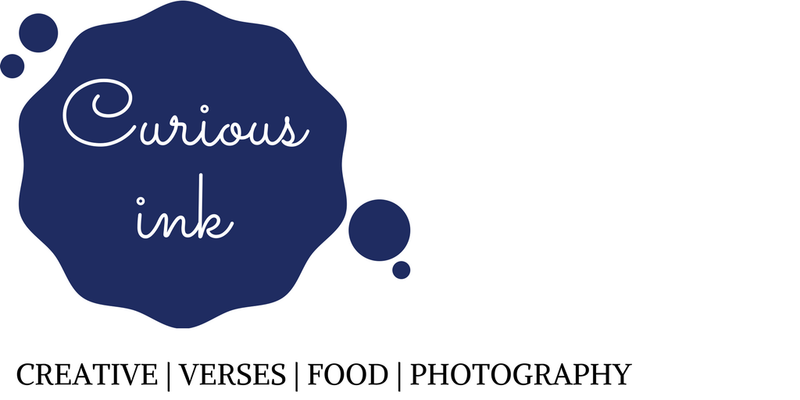 If you like my review or have any question please comment and share with our fellow readers. Because sharing is caring :) Happy Reading!